We will create a cohesive interior environmental solution that together harmoniously with the construction process, these will include lighting concepts, graphics and selection of furniture, fixtures and equipment. When being referred to as a design consultant, it’s important to remember that HJT offers more than just a constructional office design consulting; we’re also offer interior design help as well. After all, who knows the layout, shapes, size, and width of your office better than the people who helped design and create it? HJT can help you come up with and discover alluring lighting concepts, graphics, fixtures, and equipment to help furnish your office in just the right way. 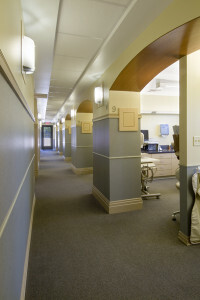 HJT has a long line of dental office consulting. We understand what’s helpful and what’s hurtful. We understand what’s comfortable, and what’s intimidating. Most importantly, we understand what works and what doesn’t. Trust the professionals at HJT to help decorate the interior of your office to match your personality, brand, and reputation perfectly. After working closely with you, we will have a pretty good idea of what you’re looking for in an office; let us help you find these items and transform your office from drab to fab. HJT is your number one choice in dental design consultants. Don’t allow those who don’t know you influence you on what your company should be. Trust HJT to design with you – the client – in mind. Working together, sharing ideas, and following through are key elements in any successful design; let us achieve this for you, your future, and your business. Let us turn your dreams into reality.